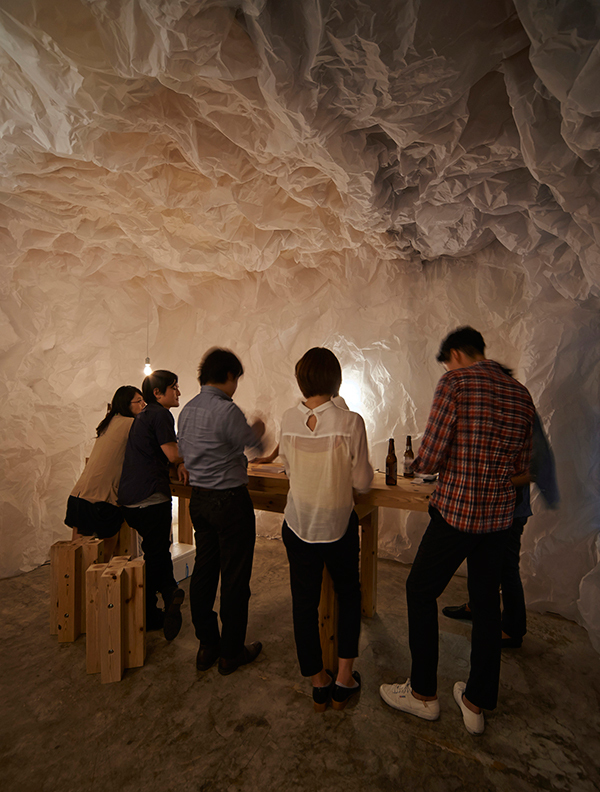 Some of the most creative ideas for pop-up spaces, pavilions and temporary structures involve the repurposing and reappropiation of found objects and materials. Repurposing whatever you have to hand, perfectly sets the tone of spontaneity for a casual pop up bar or exhibition space – with the added benefit of being easy to disassemble. 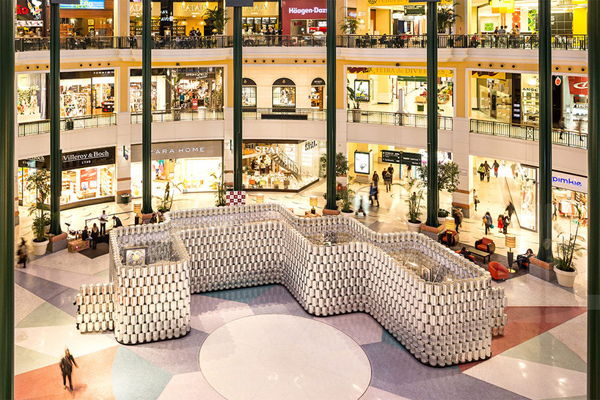 See how these five design firms mastered the art of the pop-up and established new interior design possibilities in the process. 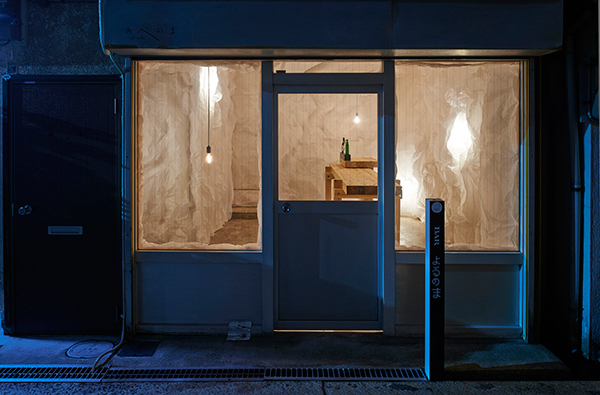 In Abeno, Osaka, local studio Naoya Matsumoto Design created a pop-up bar inside a gallery space that was once a row of houses. 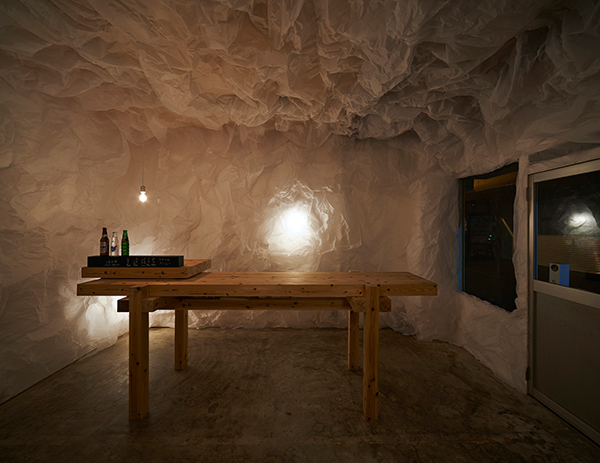 The interior, positioned behind a typical glass shopfront, was transformed with reams of crumpled translucent tracing paper, with the help of local residents. The cavernous rooms were dimly lit with just a few bare bulbs, highlighting the texture of the wrinkly walls and mottled concrete floors. Other industrial elements include chunky wooden benches and stools from which origami classes were held during the day. Beijing-based People’s Architecture Office (PAO) created a pop up pavilion made entirely of repurposed reflective photography panels. 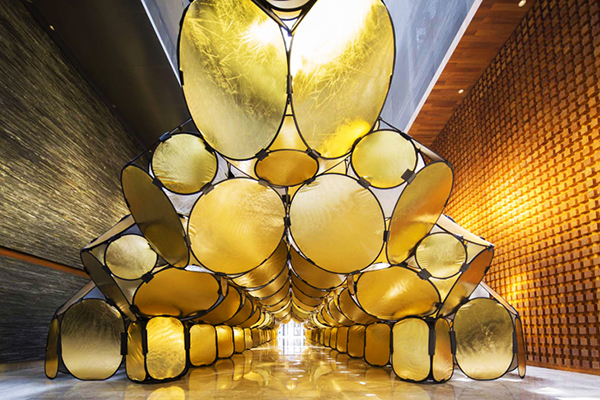 Attached with velcro, the panels can combined into a variety of lightweight canopies, arches, auditoriums and shelters and can be easily assembled and disassembled in minutes. 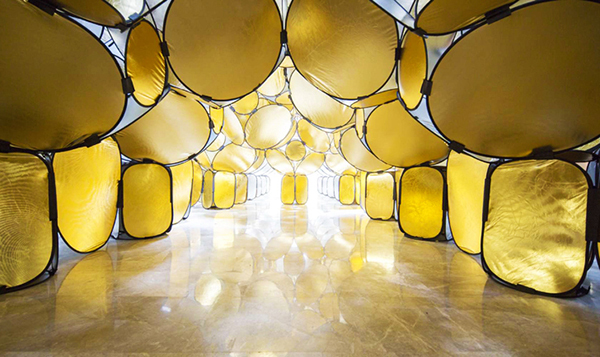 The design also won an Architizer A+Award for the Pop-Ups and Temporary Structures category. 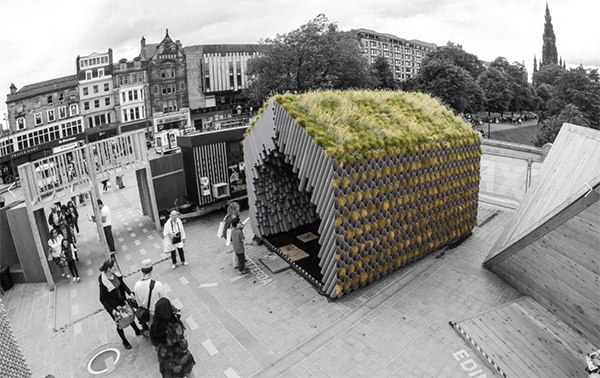 ‘Watershed’ was a 2016 project by Doepelstrijkers for the World Cities Pop-up Expo in Edinburgh. The temporary pavilion was designed to represent Rotterdam’s innovative and playful approach to sustainability and urban development, in particular water management and climate adaptation. 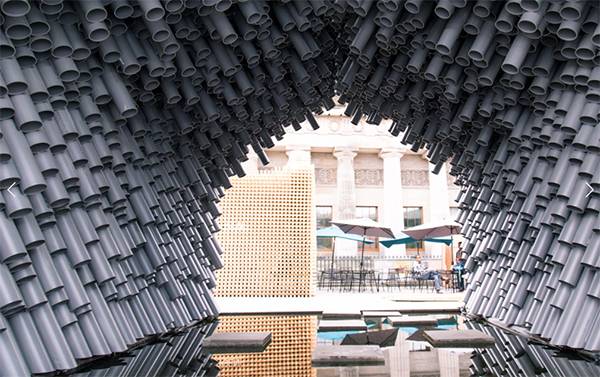 The shed like structure was made of 2400 recycled rainwater pipes with plants placed at one end and PVC caps with holes in, at the other. Rainwater was collected and released slowly into a pond containing stepping stones. 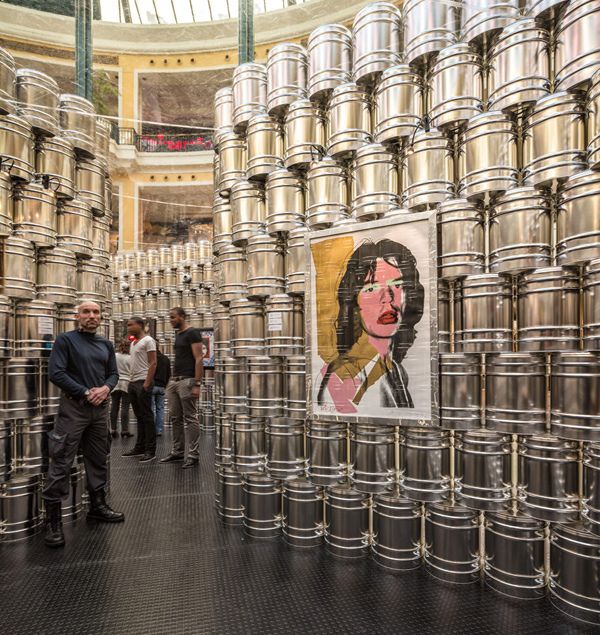 Portugal-based LIKEarchitects created The Andy Warhol Temporary Museum in a Lisbon shopping mall to celebrate the artist’s birthday, August 6th. 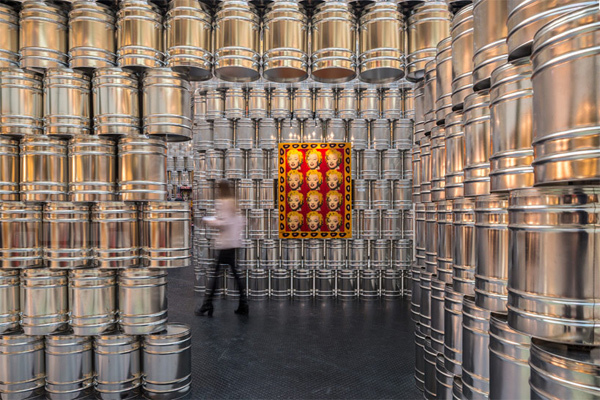 The exhibition space had both pop and industrial references with a structure made from raw aluminium paint tins. It’s a move away from the white cube style of gallery and like the artist himself, reflects on society’s consumer culture. To mark the COP21 climate change conference in Paris 2015, a beautiful temporary installation was built in the heart of the city in front of the Hôtel de Ville called the Circular Pavilion. 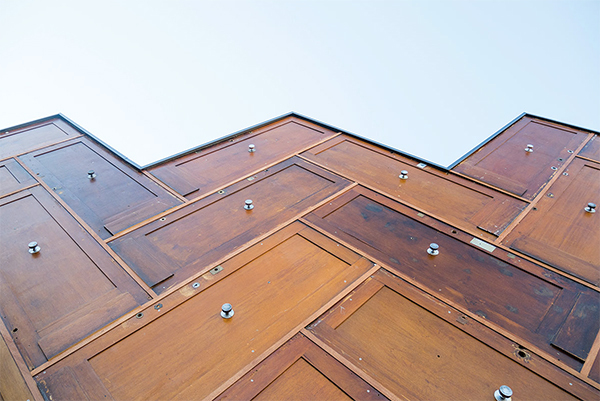 The architectural collective Encore Heureux clad the structure in 180 reclaimed doors sourced from an apartment being renovated in Paris’ 19th arrondissement. Its name derives not from its shape therefore, but to highlight the benefits of a circular economy. 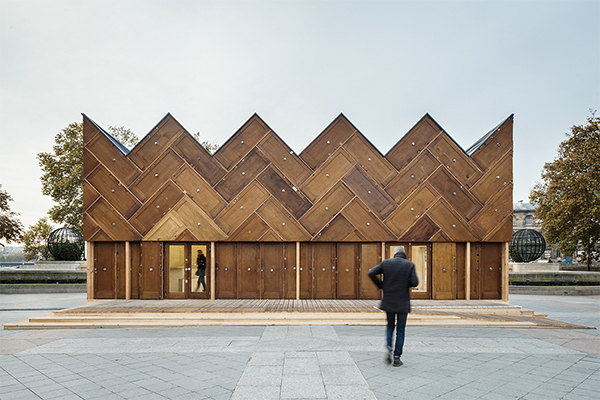 The rest of the pavilion was made from locally sourced materials, including stone wool from the disassembly of a supermarket roof; a floor composed of used wooden exhibition panels; furniture collected from junkyards in Paris; lighting from obsolete street lights and the windows are taken from Parisian building site surplus. Circular Pavilion was actively used for a series of lectures, meetings and workshops which were free to the public. 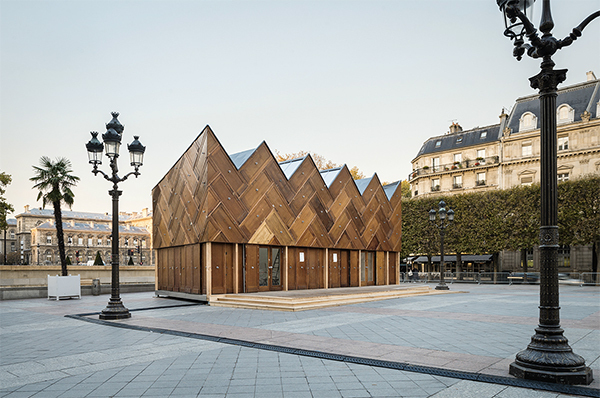 It was then dismantled and rebuilt at Paris’ 15th arrondissement to be used as a club house for a sports’ association.